With ESET, you will never have to choose between security and performance. ESET’s award winning malware detection and protection for your business. Every workstation and endpoint needs protection, with ESET Endpoint Antivirus and ESET Remote Administrator you can easily implement and maintain a powerful anti-malware solution. Host-Based Intrusion Prevention System (HIPS) give your IT staff extensive control over your entire network. Every workstation and endpoint needs protection, with ESET Endpoint Security and ESET Remote Administrator you can easily implement and maintain a powerful anti-malware solution. Two-Way Firewall is essential for a mobile workforce, particularly is they have external access to your company network. Botnet Protection protects against infiltration by botnet malware. Web Control limits access to websites: you can use pre-defined categories or whitelist/blacklist on a case by case basis. 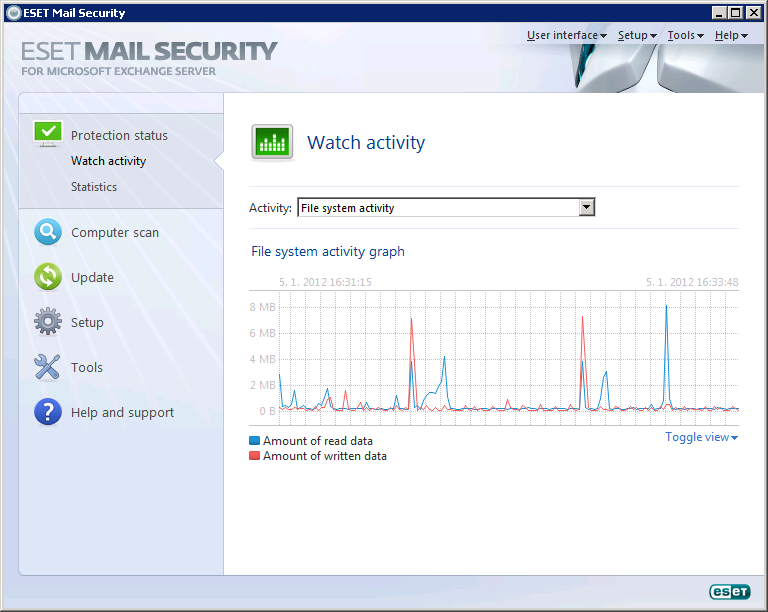 Integrates powerful antivirus and antispam to protect mailboxes and the server environment with real file type detection allowing you to apply policies for specific email attachment content. Your company's email server is a vital hub for productivity and also an appealing attack surface for malware, phishing scams and spam. Protecting your email is one of the most important aspects of computer security. As cybercriminals' methods become increasingly sophisticated, safeguarding your mail server becomes a crucial component to your companywide security protocals. Scan all Inbound and Outbound Traffic – POP3, SMTP, IMAP. Filters Email-borne threats at the gateway level. 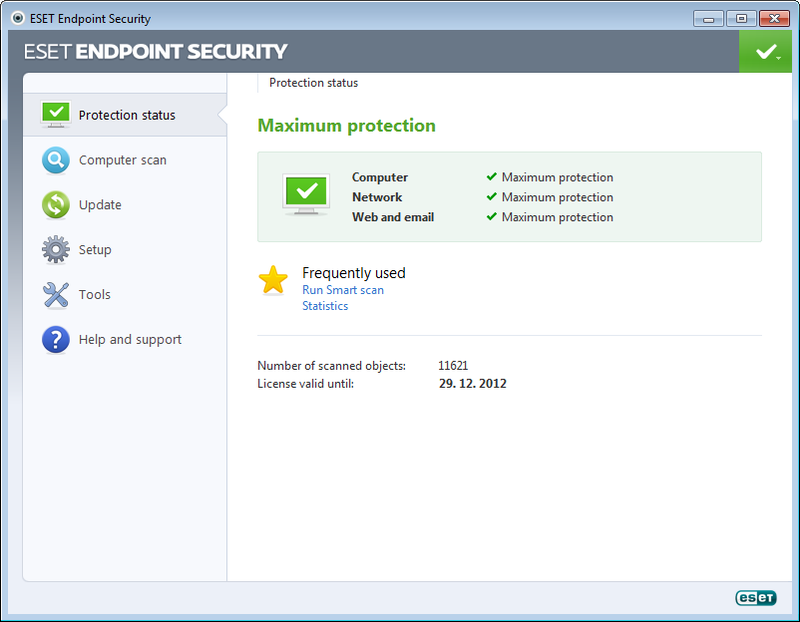 Server Protection including resident shield and on-demand scanner. Powered by ThreatSense built for speed, accuracy and a small system footprint. Comprehensive Logs and Statistics keep you abreast of your security status. 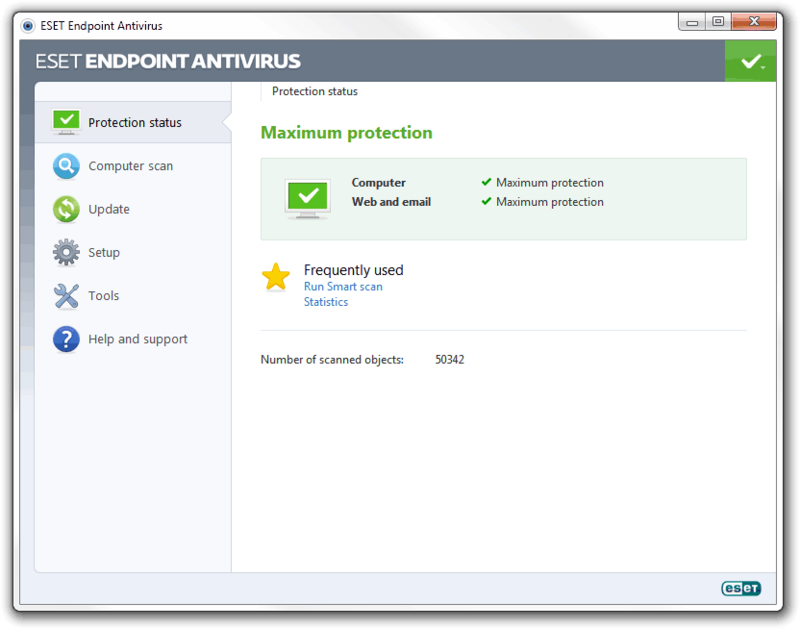 Antispam, Anti-phishing, Antivirus and Antispyware. Install and Forget or tweak to suit your network’s needs. Remote Administrator included for free.